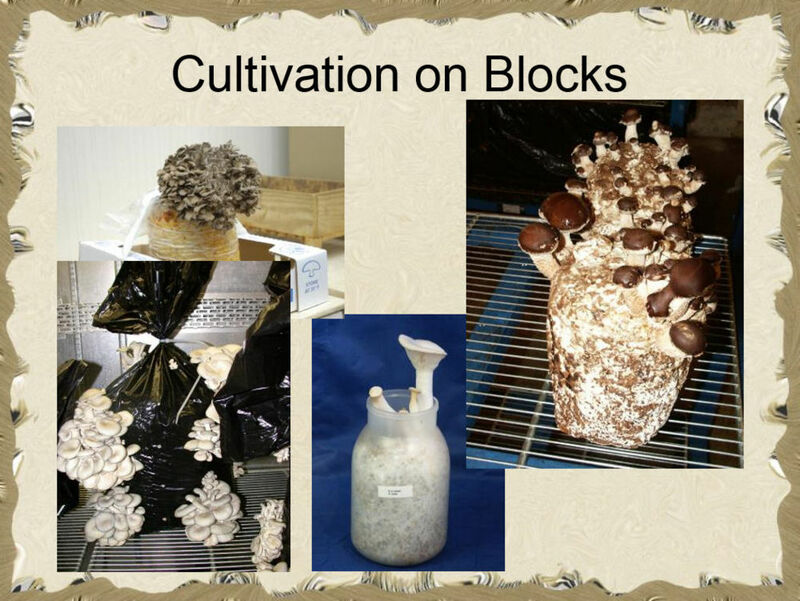 A presentation from Richard Jacob Last years educational talk on Corals. 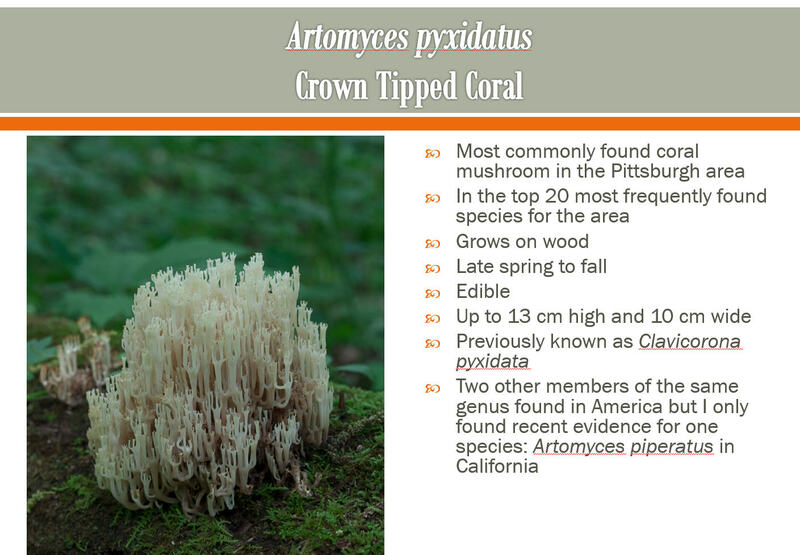 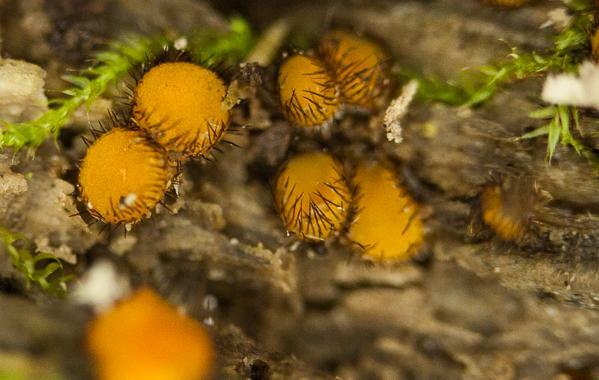 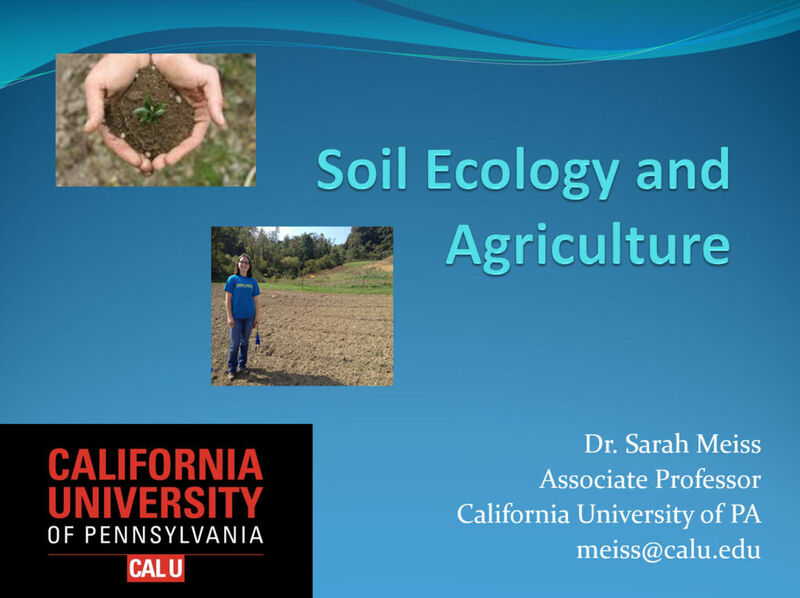 The talk covers the different coral fungi families and species found in Western Pennsylvania. 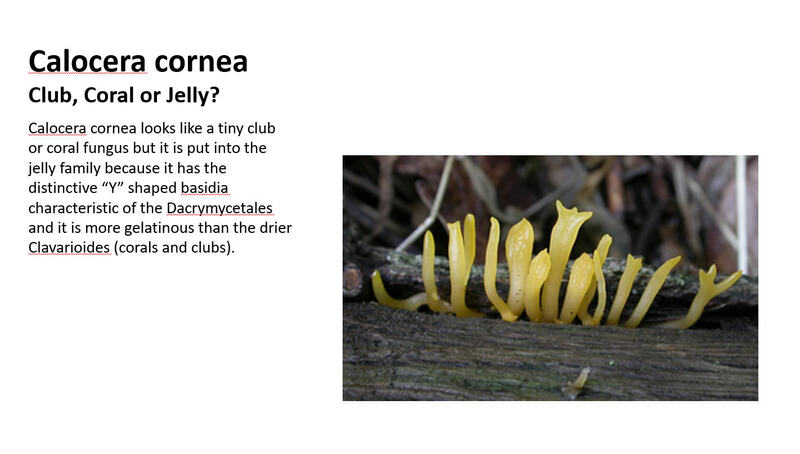 A presentation from John Stuart Last years educational talk on Jelly, Club and Corals. 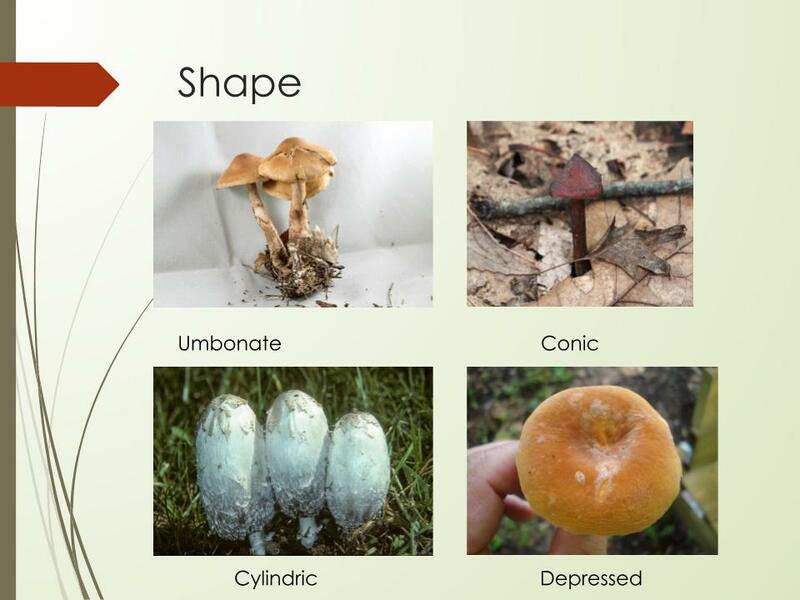 The talk covers the identifying features of each group. 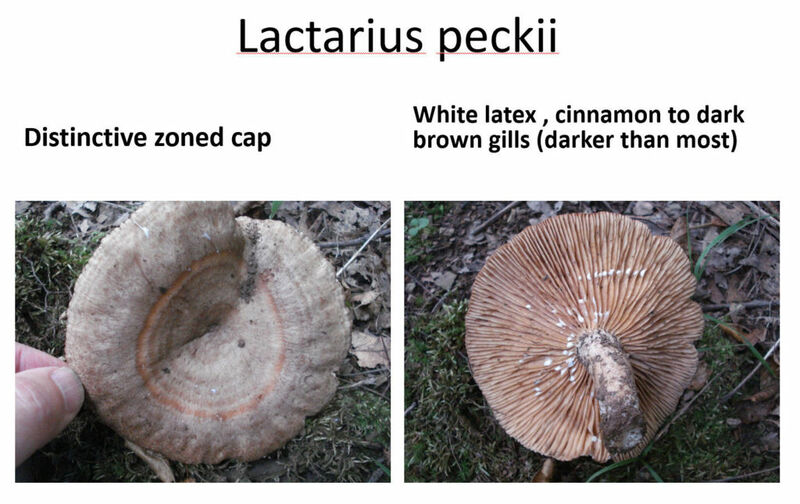 A presentation from John Stuart From the archives we have an educational talk on Lactarius mushrooms both on the biology of the genus and the species local to pittsburgh. 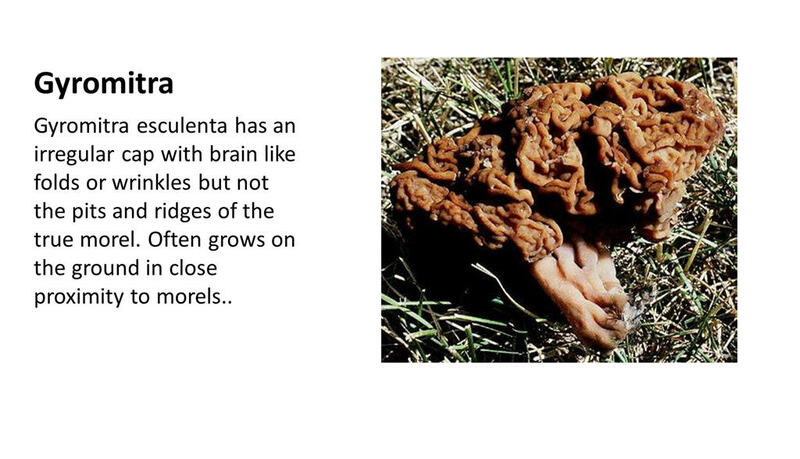 A presentation from Richard Jacob As the mushroom season starts I would like to advise our members on two issue effecting our safety in the woods this year. 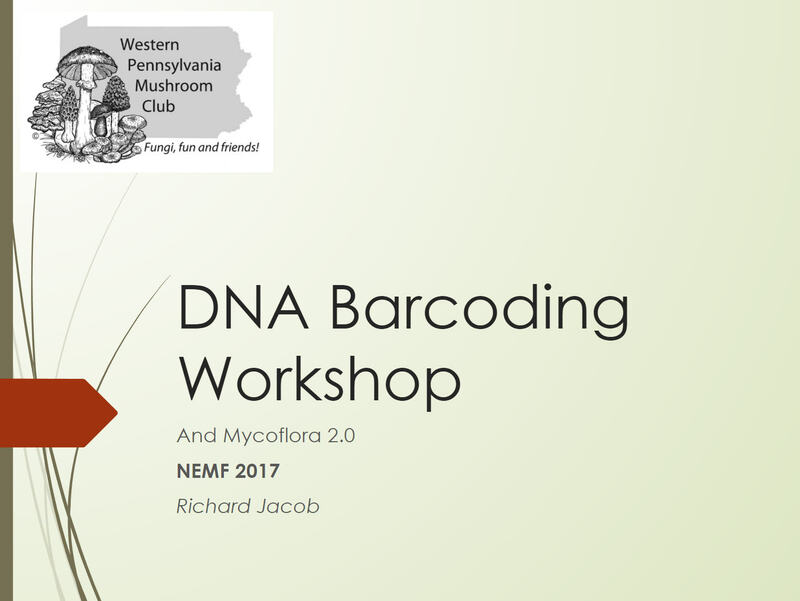 A presentation from Richard Jacob Work is under way to interpret the DNA barcodes returned by Duke university. 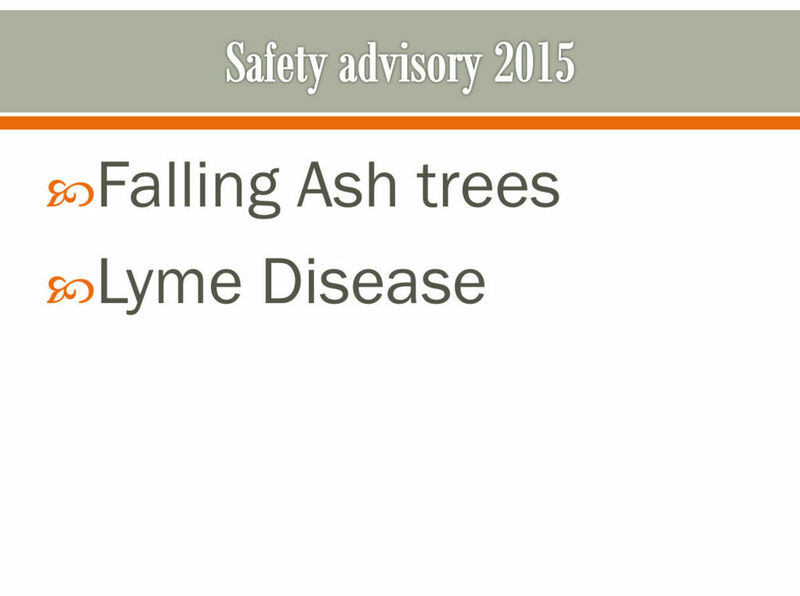 This presentation covers an overview of the results and look in further detail at 4 of the samples. 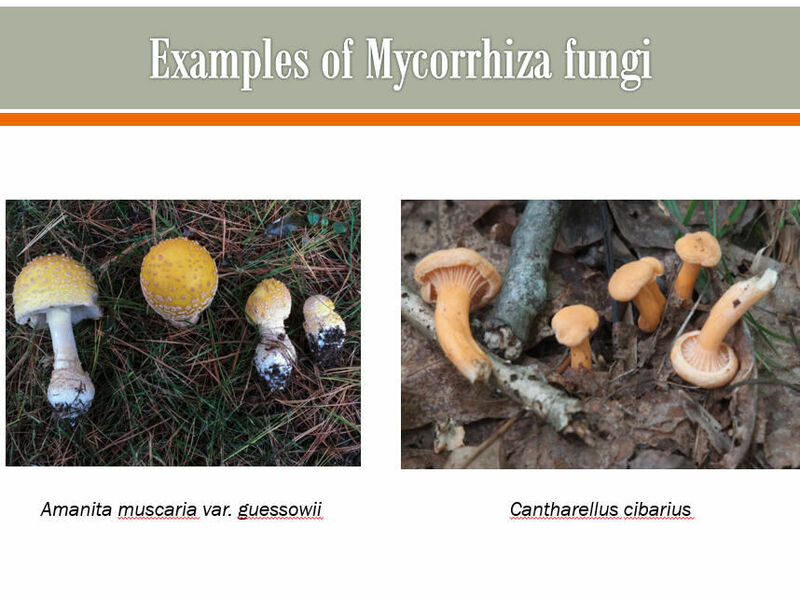 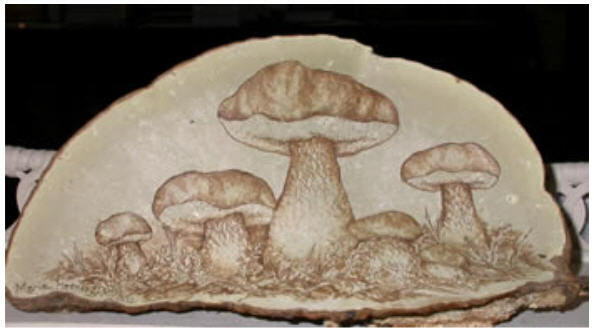 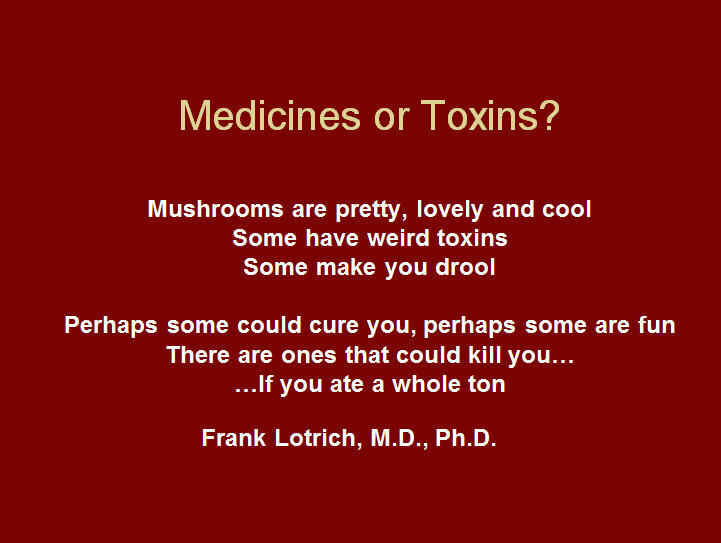 A presentation from John Stuart There are quite a few edible mushrooms that can be found in Western Pennsylvania and this short talk covers some of the easier to identify ones. 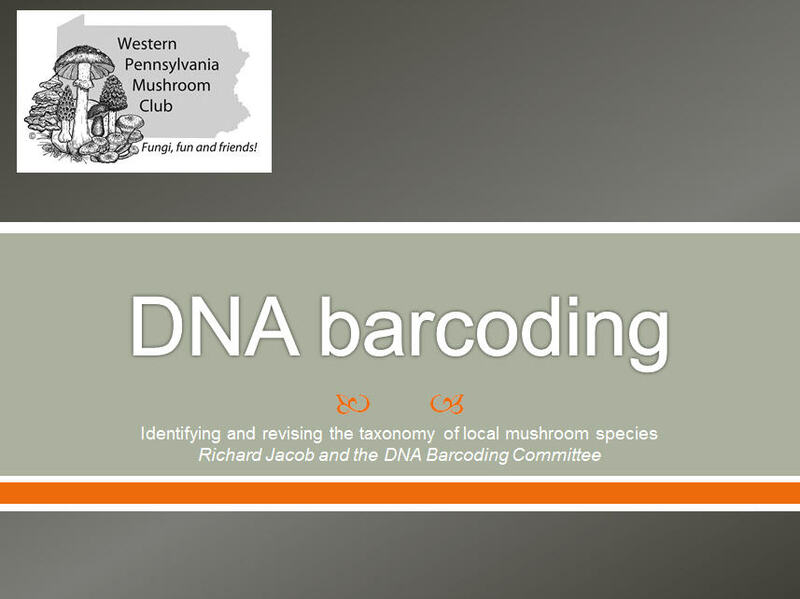 May 2013 meeting presentation by Richard Jacob The beginnings of the WPMC DNA barcoding project, an introduction to DNA barcoding and the first results.